After Panama City and Boquete, most backpackers head to Bocas del Toro before continuing their journey towards Costa Rica. Bocas del Toro is supposed to have excellent diving and surfing possibilities, and being a scuba diver myself I had to check it out. 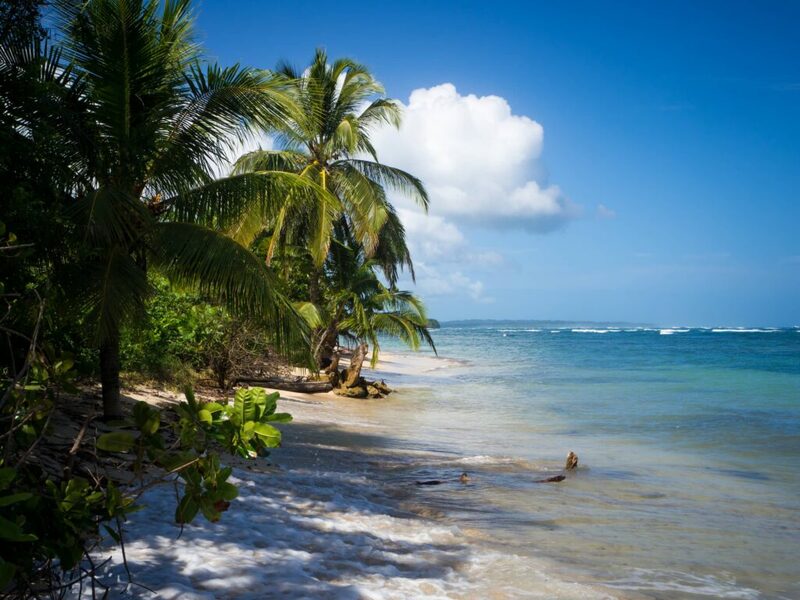 It is imporant to understand that Bocas del Toro is the name of Panama’s most north-western province, and not just the name of one place or town. Bocas Town, which is the main town in Bocas Del Toro, is located on Isla Colon. I stayed both in Bocas Town and on Isla Bastimentos. Sloth next to my room in Isla Bastimentos. From Boquete or David: there are countless minibuses from David to Almirante. 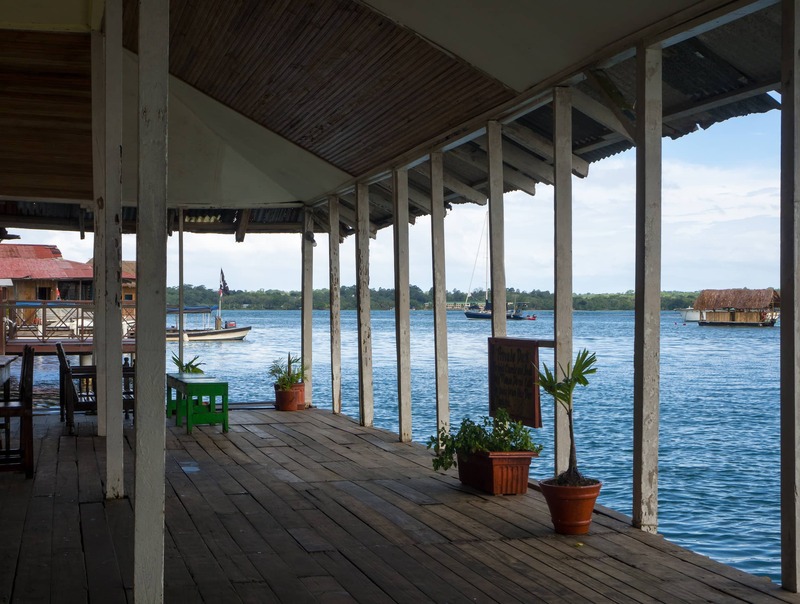 Once you get to Almirante, take a taxi ($1 per person) to the taxi-boat pier in order to take the ferry to Bocas Town on Isla Colon. There might be a pushy local telling you to walk with him to the ferry once you get off the bus. He will tell you that it is only a 10 minute walk. In reality it is about 2km along a main road; not a nice walk if you carrying your backpack. Check below map to see the exact location of the bus and boat terminals in Almirante. 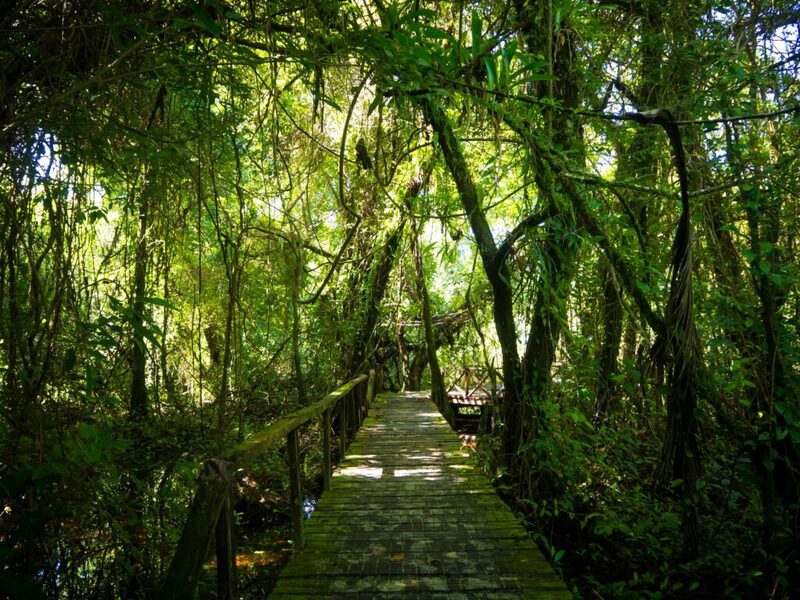 Alternatively there is a shuttle bus from Hello Travel once a day from Boquete to Bocas Town. The shuttle includes the boat ticket. This package costs $30 (or $25 if you stay in Mamallena). I believe I spent around $15 in total for the the bus from Boquete to David, David to Almirante, and the boat from Almirante to to Bocas Town. There is a shuttle bus between Puerto Viejo, Costa Rica too, although I haven’t used this service. 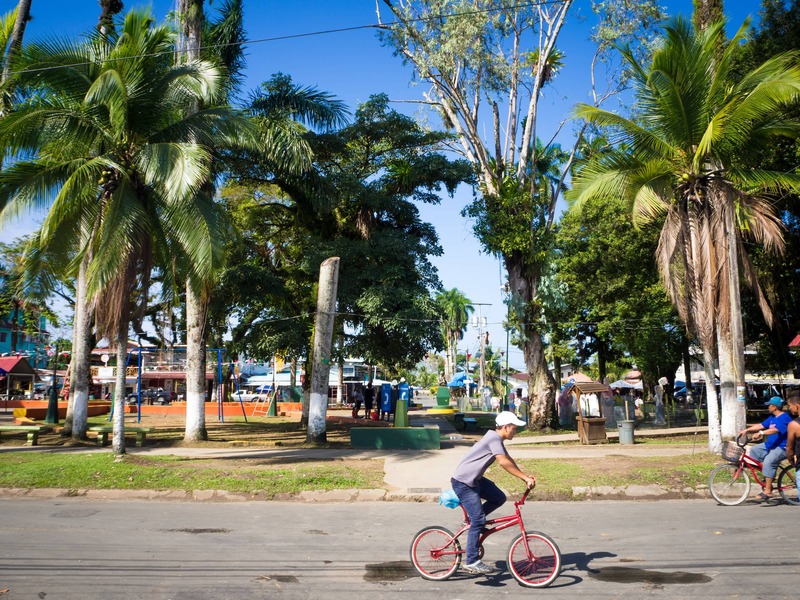 Moreover you should be able to go to the border with Costa Rice by public bus from the bus station in Almirante. Note that this is not the same bus station as where buses to Panama City leave from (map). The center of Bocas Town on Isla Colon. 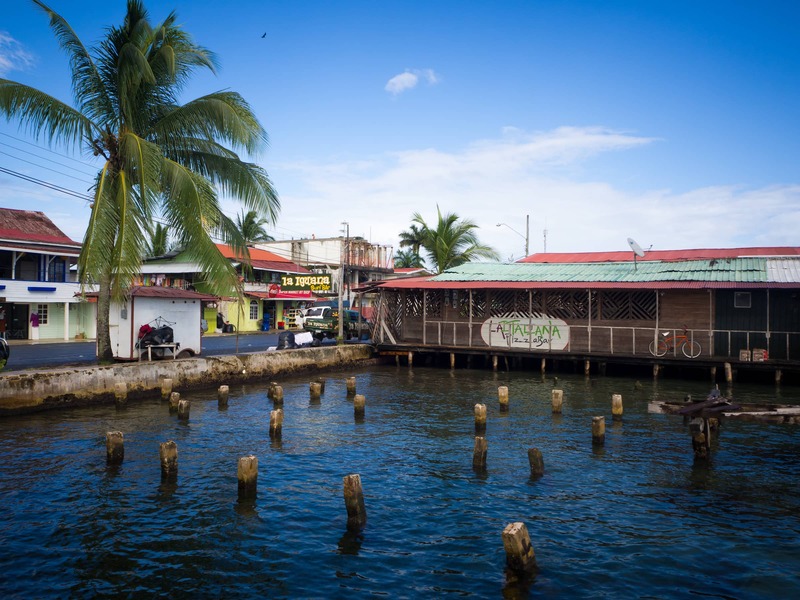 What to do in Bocas del Toro? Also known as Playa Estrella. Easy to reach by minibus (colectivo) from Bocas Town’s main square. The bus takes you to Bocas del Drago in the north of the island, from where it’s about 15 minutes walking to Starfish Beach. 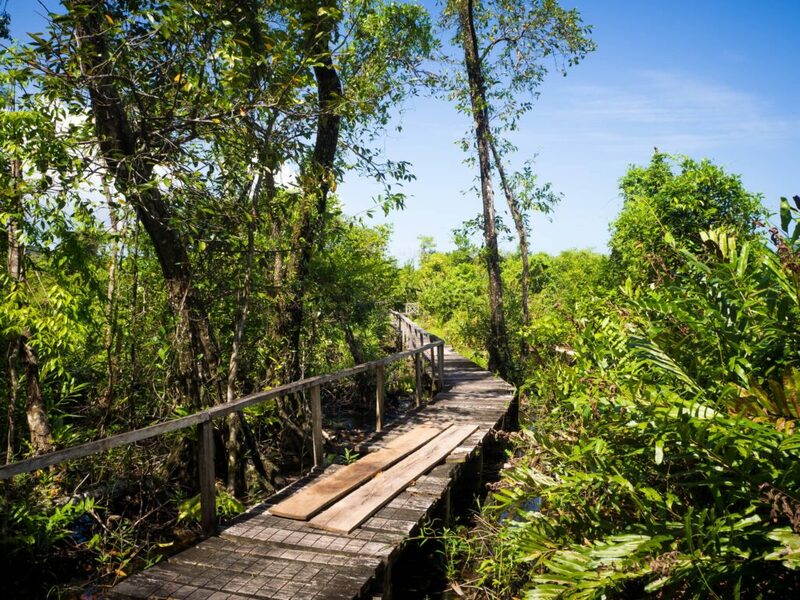 Alternatively you can take a small taxi boat from Bocas del Drago. The walk itself is nice too, but bring footwear that can get wet. Starfish Beach indeed has many starfishes, but please do not take the starfishes out of the water! As soon as you take a starfish out of the water it dies right afterwards. If you take a selfie with a starfish above the water you’ve basically killed it. There are a couple of restaurants on the beach, so you don’t need to bring your own food. Some restaurants serve fresh lobster. The beach itself isn’t too good for sunbathing, as the water comes all the way up to the restaurants and palm trees. We stopped here for lunch after heading back from Cayo Zapatilla. This was my first time diving in the Caribbean and even though the visibility wasn’t great (it had rained) it was still a really nice experience. The reef here looks completely different from Asia. I dived with with Scuba 6 ECO Diving located on Bastimentos Island. Ginette, one of the owners, studies coral reef ecology and took an hour to explain about the varieties of coral reefs and fishes we could expect to see on the dive. The “lecture” from Ginette was extremely interesting and contributed to a better overall diving experience. Moreover it is nice that the owners of the dive school are so passionate about their occupation, and not just run the dive shop as a way to make money. I dived with one other fun-diver and a local dive master who took us to the best spots in the reef. Highly recommended! 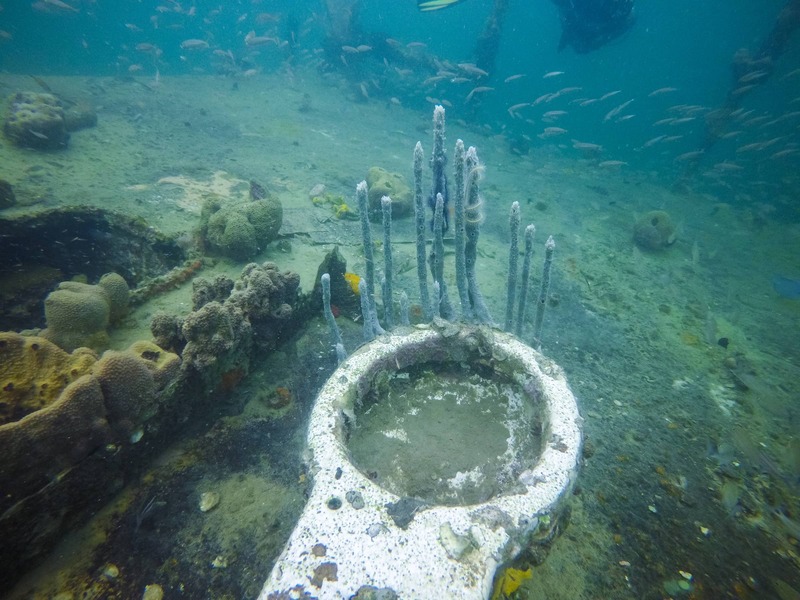 Ship wreck’s toilet bowl covered in coral. Confession: I did not make it to Red Frog Beach. It’s possible to hike from Old Bank (the main- and only village on Isla Bastimentos) to Red Frog Beach. When I was planning to go there it started to rain (again) and the trail was extremely muddy and slippery so I decided to go back. 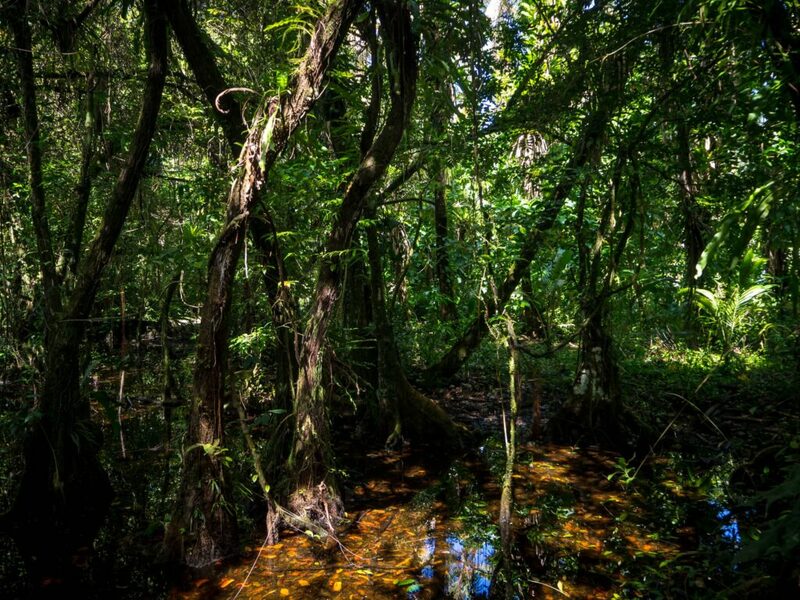 Either way, Red Frog Beach is famous for… its red frogs. This doesn’t mean it is the only place where you can see the Red Frogs. In fact I saw one in the garden of Beverly’s Hill, the place where I stayed. Note: people have warned me multiple times to not bring any more valuables than the money I’d need to spend the day in Red Frog beach. I suppose there have been robberies on the hiking path in the past? 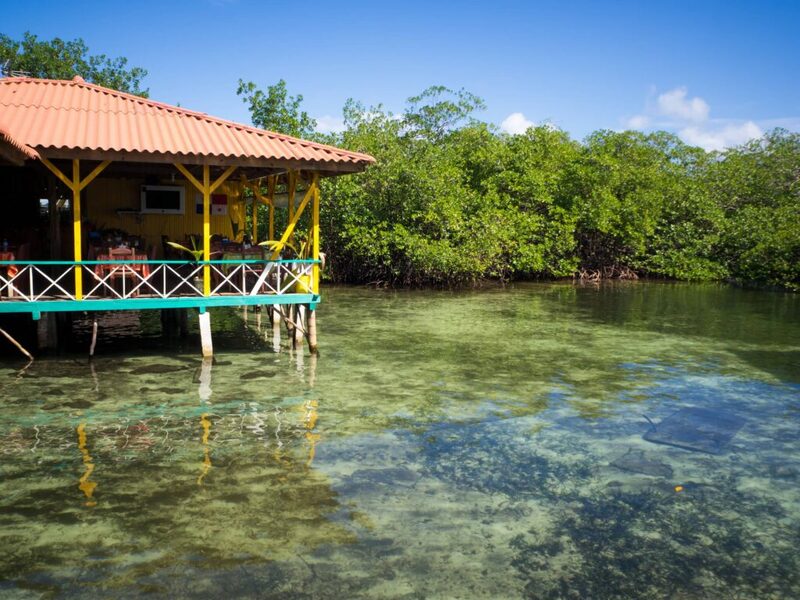 Where to eat in Bocas del Toro? Local food “with a French touch”. Local or not, this place served great lobster and burgers. Not cheap, not too expensive either. As all restaurants listed here located on the waterfront which creates a nice atmosphere. Another international restaurant along the main road of Bocas Town. Raw Fusion is quite pricey, but serves really delicious sushi. In case you are not into sushi the chicken teriyaki is also good and enough to serve as a complete meal for one person. Very good and inexpensive local food on Isla Bastimentos. I believe their Cuba Libre was less than $3, and it was strong. Really strong. Located just north of the dock in Old Bank. There is a local BBQ just around the corner of the boat dock on Old Bank which serves good value burgers and chicken. Take away only. 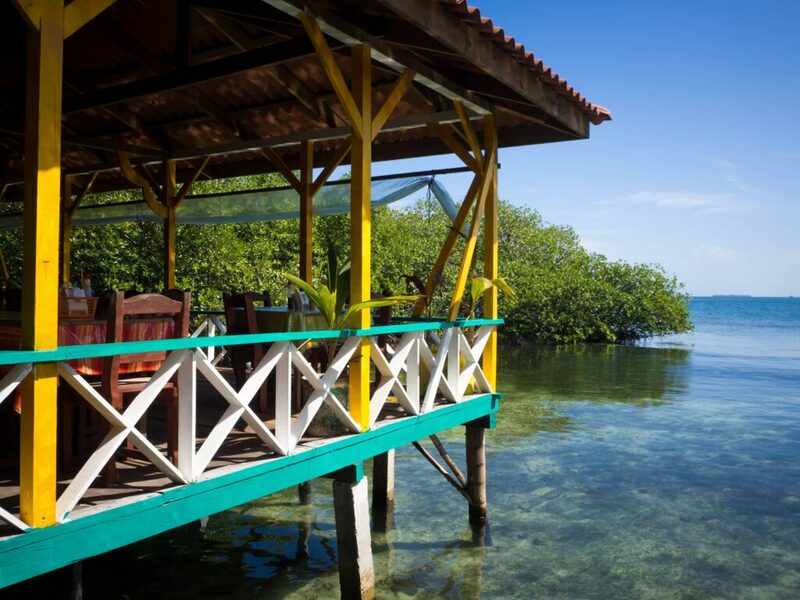 Where to stay in Bocas Del Toro? My friend and I arrived Bocas Town without any reservation. Upon walking along the coastal road we found Hotel Las Brisas, at the end of of the main street a few steps away from the town square. Though Las Brisas is technically a hotel it is hardly more expensive than a hostel (in some cases even cheaper). Either way: I was sold once I saw the seafront deck above the water. A great place to just chill or swim! Don’t expect any luxury here. The hotel has a lot of potential, but it is just in a really old and worn down state. It’s for sale, so if you have the capital you might be able to polish this pearl. 😉 The official rate is $15 per person, so $30 for a private room that sleeps two with private bathroom and (very loud) air-conditioning. Hint: depending on occupancy you might be able to see several different rooms and bargain. The deck of hotel Las Brisas. Located towards the left when leaving the dock on arrival at Old Bank (Isla Bastimentos). 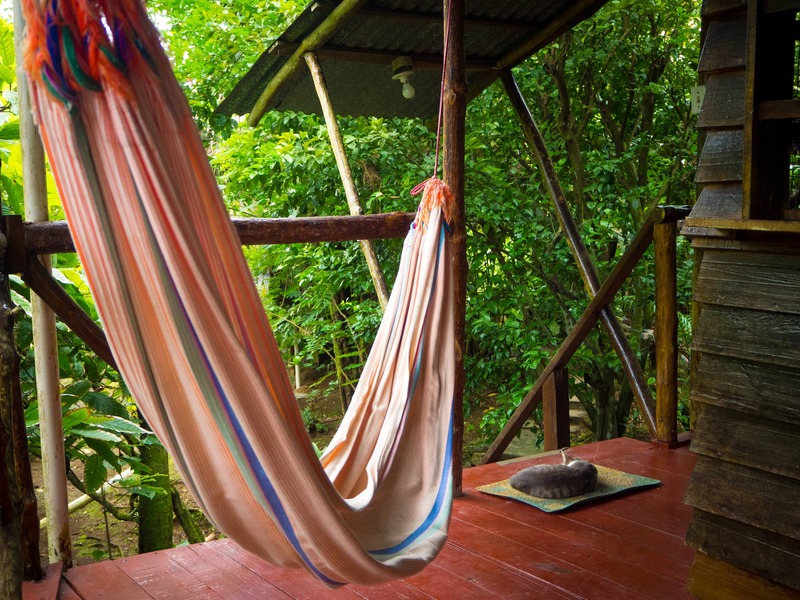 Beverly’s Hill provides inexpensive laid back tree-house style accommodation. Don’t expect any luxury here, but a really nice experience is guaranteed. 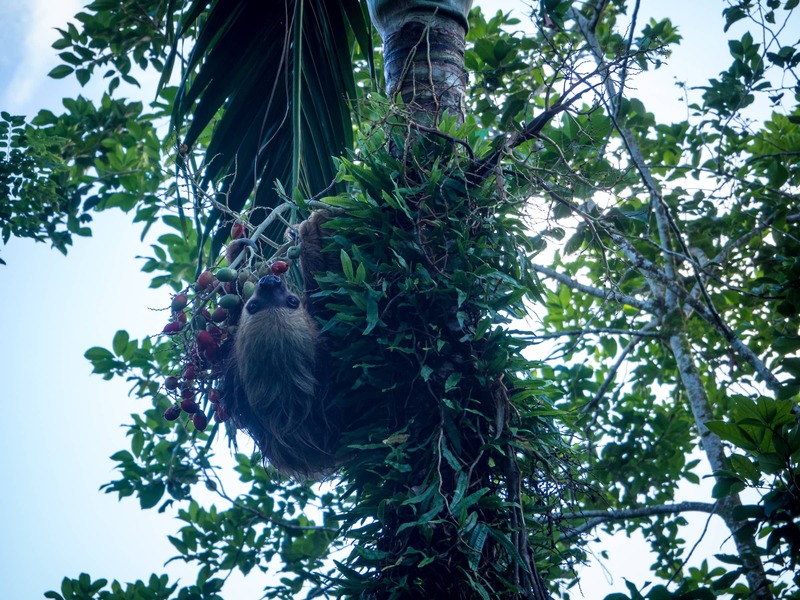 I saw red frogs and a sloth right in front of my the accommodation. Hammock at Beverly’s Hill, Isla Bastimentos. It’s not true about starfish dying as soon as it’s out of water. Whoever told you that lied to you.